Enchanting is the art of upgrading your armor/weapons to give them stats like +1, +3, +6 etc. Only items marked as Enchantable can be enchanted – this includes enigmatic items and some crafted items! 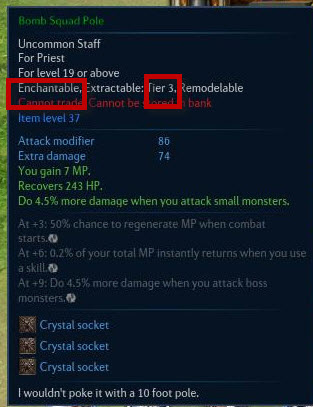 The items you want to use to enchant (filler items) has to be the same tier as the item you want to enchant but do not have to be enchantable themselves.